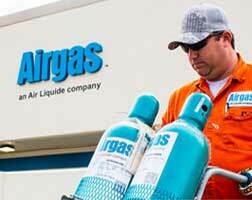 US-based Airgas has signed an acquisition agreement for TA Corporate Holdings, Inc. (Tech Air), a large independent distributor of industrial gases and welding supplies serving various geographies in the US. The deal is expected to close in 2019. According to its parent company, Air Liquide, a French company providing gas, technology and services for industry and health, the agreement will enable Airgas to further strengthen its network in the US and reach further market segments. Tech Air was owned by CI Capital Partners, a New York-based private equity firm founded in 1935. It is a major distributor of industrial, medical and specialty packaged gases, welding equipment, and supplies. It has presence in 50 locations in California, Texas, as well as in the Northeast and Southeast areas, serving more than 45,000 customers and comprises approximately 550 employees. The 550-employee company posts an annual revenue of approximately US$190 million.